A hybrid crossover or SUV is a bit of a contradiction. On one hand you’re driving an overweight, oversized, unaerodynamic block but you’re also behind the wheel of something that’s been designed to produce great fuel economy and lower emissions. However you see this type of vehicle, it’s one that will become more and more popular as the market floods with hybrid SUVs worth considering. We’ve take a look at three examples that bare comparison. This isn’t just a hybrid SUV, it’s a Porsche so it deserves special attention for that reason alone. 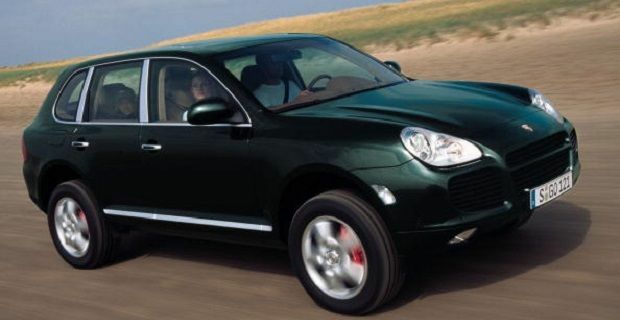 Whether you’ve grown to accept the Porsche SUV or if you think it detracts from decades of sports car heritage, the Cayenne is a fine car that’s without equal. The Porsche Cayenne S E-Hybrid offers excellent fuel economy and it’s obviously well built. This is another car from a luxury car brand but it’s nothing like the Porsche. This machine offers a 3.5-litre V6 petrol engine with two high-output electric motors. You’ll need £44,495 to get into one of these. The downside is that it is front wheel drive which knocks its off road credential down but it’s quiet and comfortable and offers an impressive 32 MPG. The VW Touareg Hybrid is a little more affordable than its rivals. It comes with a powerful hybrid powertrain and an upmarket interior that matches those found on the more expensive Porsche and Lexus. Between 0 and 31mph, the car only uses the electric motors so you can expect silent city driving. The Touareg selects the most efficient drive automatically so it will adapt to off road driving or towing without any issue. If you need an SUV for additional space or the extra safety they offer, then a hybrid is the one to go for. Which of these is the best? Drive each and see for yourself.